Here you will learn all about how to sell on CraigsList for beginners wanting to make money online by selling their old things, or creating an online business selling their products. 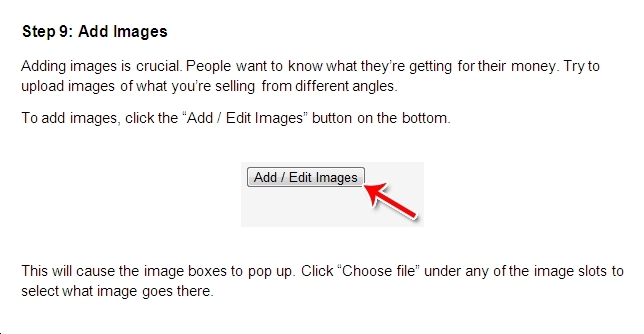 Illustrated online guide for how to post items on Craigs List as well as a range of tips on using it to successfully buy and sell things. Craigslist is by far the largest online classified ads website in the United States. If you have something you want to sell in your neighbourhood, Craigslist is one of the best ways to do it. Perhaps the best thing about Craigslist is that everything is sold face to face. Unlike other online sites, where you have to ship things and risk working with unscrupulous buyers, on Craigslist this risk is much lower. You’re dealing face to face with a real person. You hand them the goods, they hand you the money. What Can You Sell on Craigslist? You can sell just about anything on Craigslist. You can sell used cars, you can sell furniture. You can sell power tools and you can sell video games. You can sell your used microwave and you can sell your jewellery. As a rule of thumb, if an item has value, you can probably sell it on Craigslist. 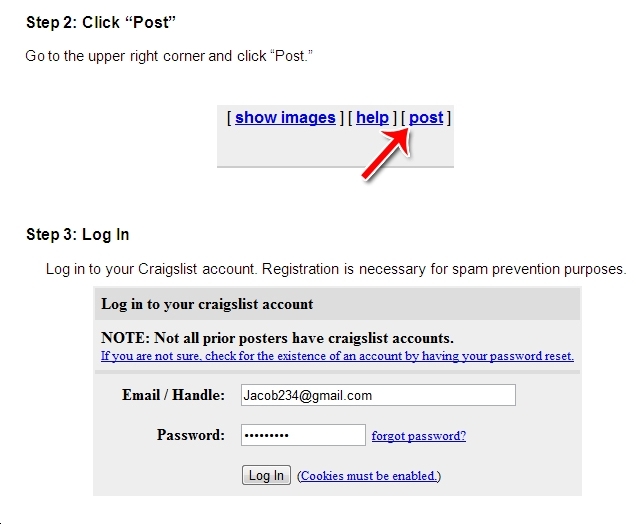 Even if your item has no value, you can use Craigslist to give it away for free. It’s important to keep in mind that Craigslist does not have a built in feedback and accountability system. 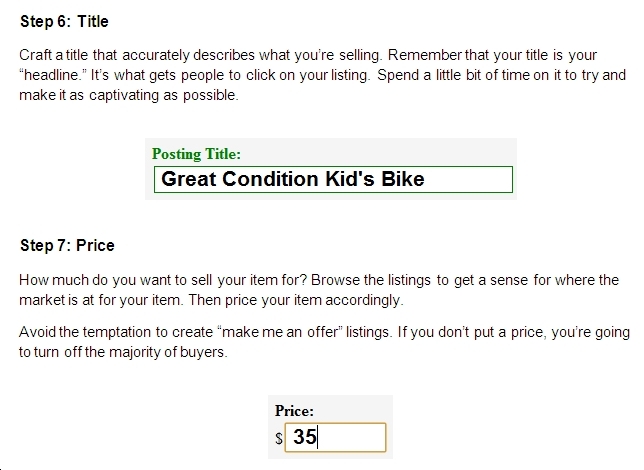 Unlike eBay, reputable sellers don’t get a “reputation” rating. If someone has perpetrated a scam in the past, there’s no way for you to tell. Your best protection on Craigslist is to only deal with people face to face. Never accept a check on Craigslist and never accept or give a money transfer. Deal in cash only. This will protect you from 99% of the scams out there. 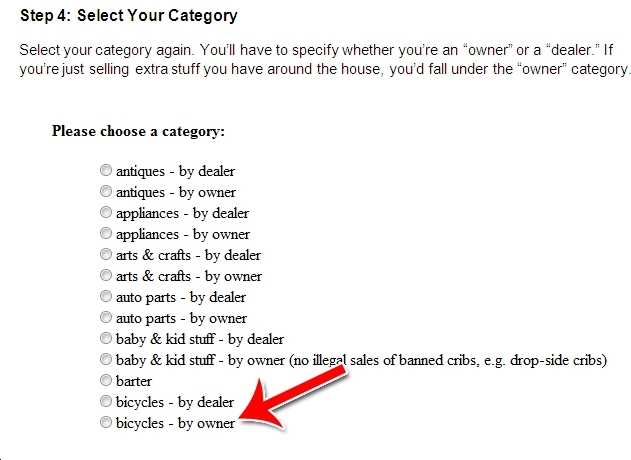 So how do you use Craigslist to sell the extra items you have lying around the house? Sometimes your items won’t sell. Don’t stress about it. Instead, repost your item every couple weeks or so until you find a buyer. Sell according to where the market’s pricing is, not according to what you want to charge or what you paid for the item. For example, the market for used microwaves is somewhere between $20 and $50. Even if you paid $400 for the microwave, it’s unreasonable to try and sell it for $200 on Craigslist. Always price according to the market, not according to what you want to sell for. Try to post your listing at times of days when people are online. That means weekends, early in the day or after work. 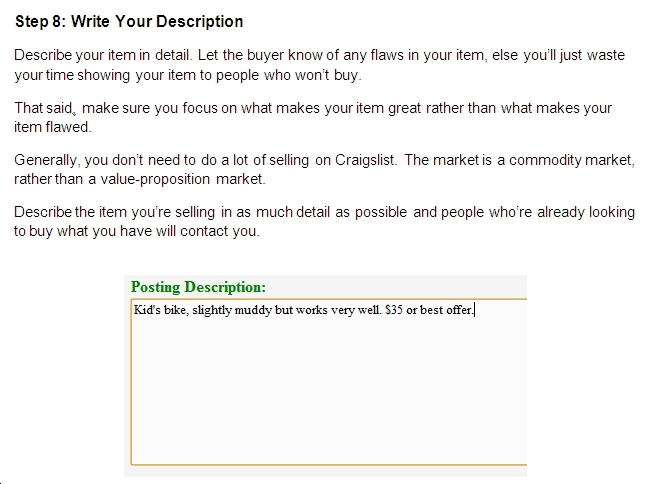 That’s how to use Craigslist to sell your old items! 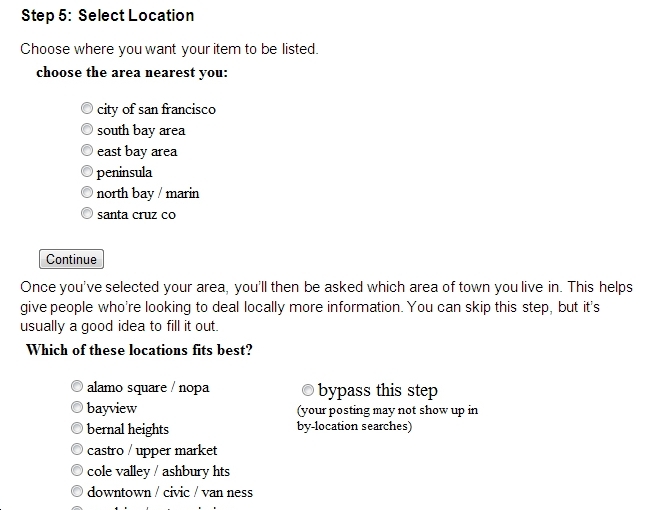 Craigslist allows you to sell your stuff to people in person, in face to face transactions. 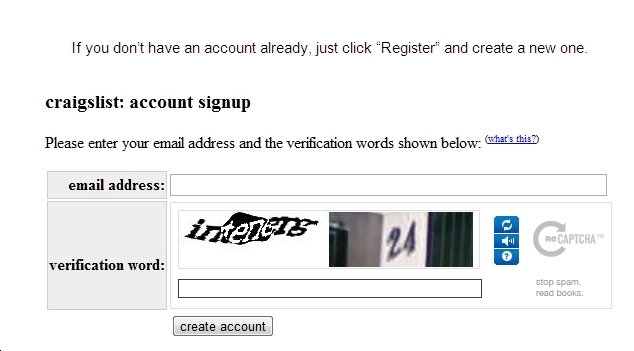 This is both more secure and easier than online transactions. What’s more, it’s fun! You get to meet a new person. Always assume that people are viewing your ads or your emails with scepticism. Add credibility elements, such as a description of your background, your years of experience and/or a picture to help people get a sense for who you are. Try to build a website. Having a website that promotes yourself or your services can go a long way towards building trust and creating an air of professionalism. Don’t underestimate the power of pictures. A lot of people use pictures in their ads to help improve the overall vibe of their ad. Browse through the services section to see how other people do this. Act quickly. If you get a response to your ad, respond right away. If you’re browsing gigs, respond to gigs posted quickly. The longer you wait, the higher the likelihood that they’ll find someone else. Finally, realize this is a volume game. 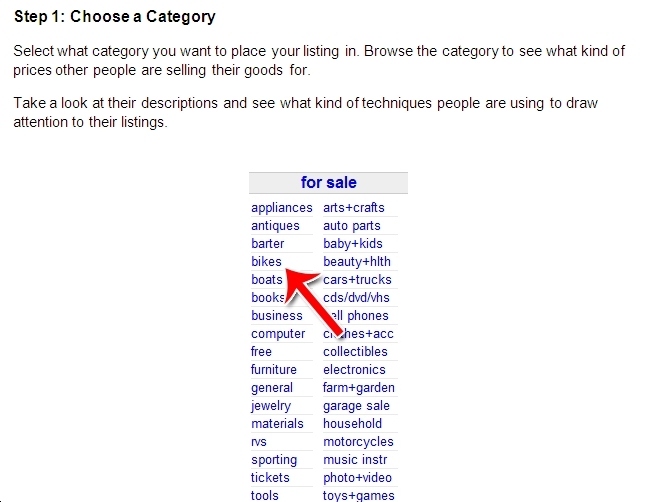 That’s how you can use Craigslist to find a variety of different ways to make money offline. A lot of times, a lack of success in selling items or finding gigs on Craigslist is the result of a lack of knowledge about how it works. 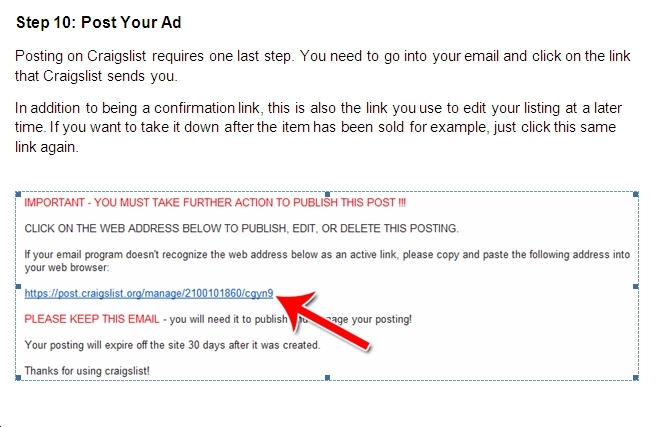 In another section on the site for Business or Making Money Online I'll be adding the how to do it steps for using Craigslist to get gigs for your services, or paid job vacancies. The information above is a good start, so implement the steps and see how you go. But there is always more to learn so if you want to start being very successful in your buying or selling on Craigslist you should invest in some training guides to show you the tips and tricks of the experts in that field. 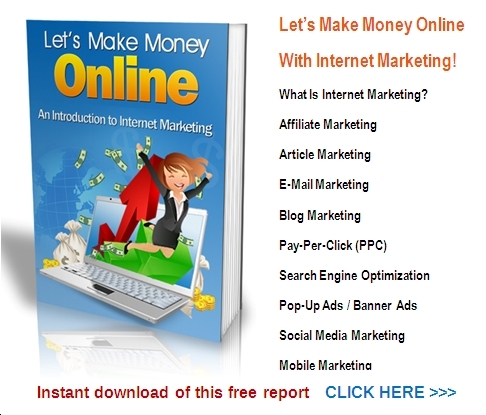 Making money online is possible by using a wide range of online platforms, whether you are selling your old stuff, or creating your own Internet Marketing products to sell from your websites, or from Amazon, so getting your head around the fundamentals as quickly as possible is an important part of success for newbies to IM. I'll post useful resources here as I come across them, or as I publish them for you. Below here I'm featuring more pages with helpful how-to-do-it tips on this subject of to sell on CraigsList for beginners. 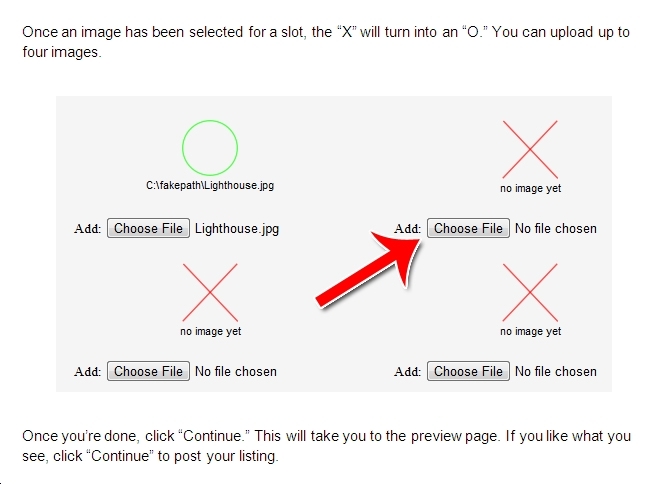 Back to HOME PAGE of this How to sell on Craigslist for Beginners section of the site.